This is definitely an interesting release to listen to. 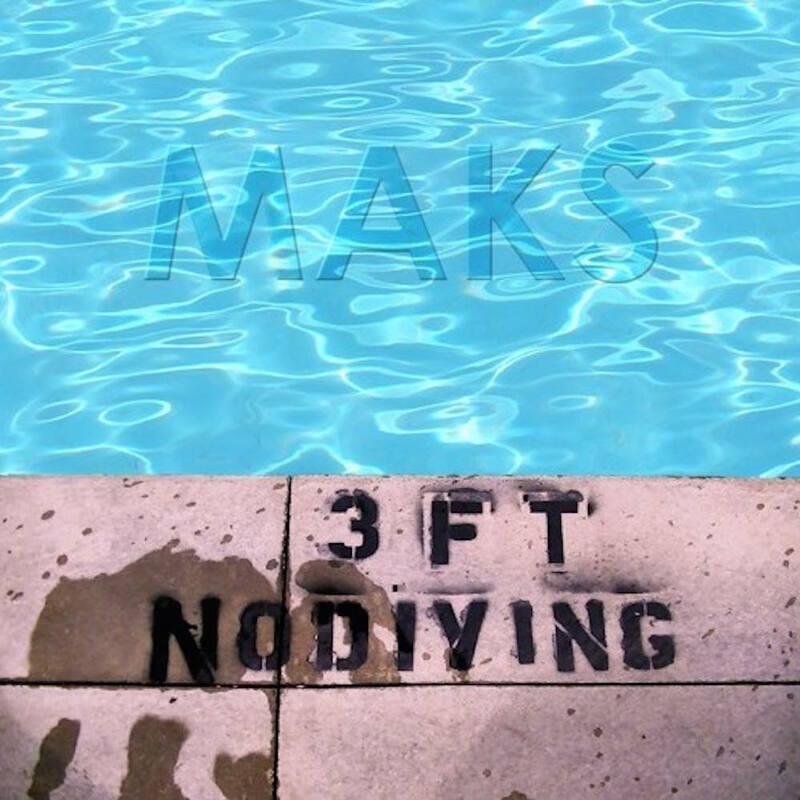 MAKS is a Dutch multi-instrumentalist singer songwriter with a very distinct sound. It’s a big old mixture of rock, new wave, country and adult alternative. His new album 3ft No Diving is certainly something very unique, I guarantee you haven’t heard anything like this. It’s an album that really stretches the length of what you’d call “rock music”. The type of album you get here is an interesting musical soup of different instrumental styles and genres which when combined make for something really interesting to listen to. All of the songs are written by him, barring the two covers which I’ll mention later, so there’s some real personal ideas here which I feel are executed well. OK, this album is not going to be to everyone’s taste, I’ll tell you now but there’s some fantastic songwriting here. The album opens with the foreboding tone of “Portal”. However this is quickly moved into the first song on the album “Lay Down Low” and automatically you learn what type of album you’re getting. A nice fusion of electronic new wave and folky southern rock and it actually works quite well. Obviously he’s not the first to make this odd pairing but he definitely has his own vision of how it should work. The guitar being very prominent and most of the other instruments falling into the background somewhere. MAKS voice is really good, a very soothing tone for the melodies and every so often he has that blues scratchiness to his voice which is great. In particularly for his cover of “Stones in my Passway” a blues classic by Robert Johnson. The other cover “Waiting for the Man” by Lou Reed is nicely performed as well, although I’m not the biggest Lou Reed fan, I can appreciate this. It’s very clear from the sound on the album that this was a passion project and the passion definitely shines through. However, the production is not all there, at least not for me. Everything is quite tinny and there sounds like there’s a lot of audio filters. Hey, if this is your thing then fine but for me, I like a little bass and more of a bottom to the production. The acoustic guitar sounds lovely, however everything else is quite muted and feels synthesised to a degree and that gets annoying after a while. If the drums had a little more impact to them and the bass filled the bottom of the sound, then this maybe a little easier to listen to. Other than that, I have very little problems, the songwriting is great and I love how the melodies flow, it sounds well put together on a writing level, also the riffs are well executed. For me I like it. I didn’t love it, but I look forward to hearing him create more music. He obviously has an ear for lyrics, melody, harmony and rhythm and with that comes something that truly sticks with you. Again, the production may not be to everyone’s taste but I think with a little bit more of a punch and a thicker tone this could be something I could say I love. Definitely worth checking out anyway. Hope you listen and enjoy. Swiss folk metallers Eluveitie are back with a new female singer and a new album. Now for those who have been following the band for some time, the name ‘Evocation’ will be familiar because the band has already released one album under that moniker back in 2009. What we have here is part two of that concept – ‘Evocation II: Pantheon’, which offers more acoustic folk tunes. So, for those who enjoyed the first ‘Evocation’ album, you’re in for a treat. If, like me, you prefer the more metal-oriented works such as ‘Slania’ then you might have a hard time adjusting to the lack of metal elements on here. That’s not the only thing that makes this album stand out. Another feature I’ve noticed is the distinct lack of male vocals on here. As much I appreciate Fabienne Erni’s melodious vocal talents, I actually miss the dual vocal configuration with their frontman Chrigel Glanzmann’s harsh semi-growls providing a sharp contrast. Then again, that would make it more metal-sounding, which is clearly is not the aim here. No, this is definitely a folk album with tin whistles, acoustic guitars, bagpipes,harps etc. being the order of the day. Epona caught my attention, as one of the catchiest songs on here. So catchy in fact that it makes you want to get up, dance and possibly even sing along. I honestly have no idea what the lyrics mean but that chorus has been stuck in my head for several days now! There’s quite a few purely instrumental tracks on here too, all bearing that distinctive Celtic feel to them due to the tin whistles and harps. Lvgvs sounds like Eluveitie’s rendition of the Breton drinking song ‘Son ar chistr’. And what a great job they did on it. Yet there’s more to ‘Evocation II’ than just drinking songs and catchy folk tunes; there are a few more sombre songs on here as well such as the Cernvnnos, and the beautiful Artio which really shows off Erni’s vocal talents. Then there is Cavtrix which includes some rather creepy-sounding war chants and drumming as if to mimic the eve of a battle. Last but not least I want mention Ogmios, which sounds like a new, re-lyricized acoustic version of one of the tracks from their earlier albums. In summary, the clue is in the name – ‘Evocation II: Pantheon’ is a logical continuation of where the first ‘Evocation’ album left off. It’s all folk music with not even the slightest hint of metal. So if you enjoyed the first ‘Evocation’ album then you’re bound to like this. Personally I liked some of songs but after listening through to all eighteen tracks of acoustic folk, I really missed the sounds of an electric guitar and harsh growling. Good work Eluveitie! How about a metal album next time? OK, to address the elephant in the room. I was, and still am, not a fan of Eluveitie. Never got into their music like people said I should. So, I really don’t know much of the politics or behind the scenes of why Anna Murphy, Merlin Sutter and Ivo Henz decided to leave the band. 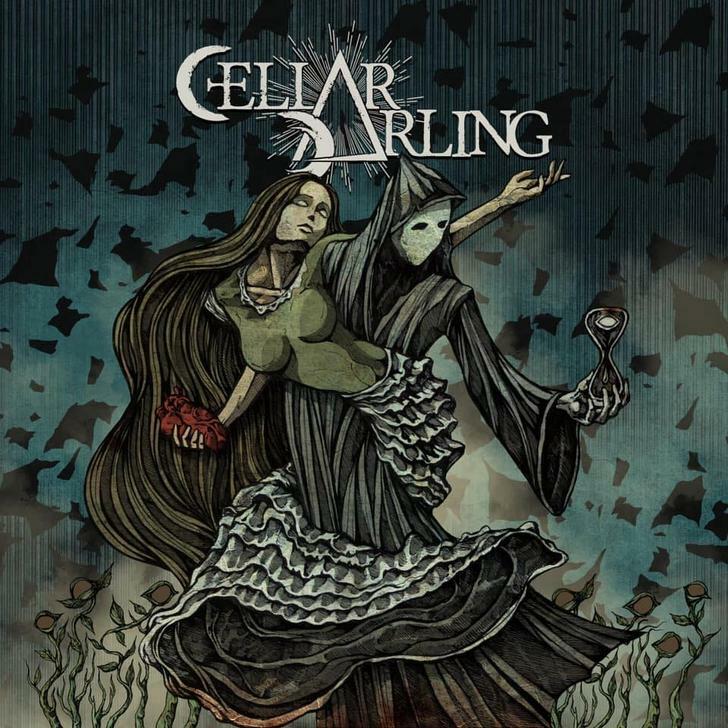 Yet, that is the situation we’re in and now from those three, we now have, Cellar Darling. Their debut album is a pretty fun listen. I have to admit the sharp tones and the catchy melodies were enough to whet my appetite. Yet, when I listened more and more I found that this album has a lot to offer both in music and in the lyrics. First off, to reiterate, This Is The Sound, sounds wonderful. The production is full of big guitars and, massive bass lines that get the blood pumping. All of the folk instrumentation sound great too. Weaving in and out so seamlessly. Everything on the album is designed to make the band seem a big a possible. So as you can imagine it’s quite an impactful album with every clash of the drums and every blast of the guitars feel larger than life. Genuinely a good feeling to my ears when you hear a band like that. You can hear this from the first track ‘Avalanche’. Anna Murphy’s vocals hit hard too. Her voice is powerful, but it’s not all power there are some dynamics here. The way her vocals alone manipulate the emotion, tension and intensity of the songs is a testament to her charisma as a front woman. This album oozes with great riffs, beautiful atmosphere and infectious melodies. Yet, none of it feels overdone. It just flows very nicely and the band have great chemistry, everything just feels like it blends together really nicely. The harshness of the rock instruments provide the songs with a lot of weight. While the folk element complements the heavy sounds and really gives the music another layer. Again it never feels like it’s too much, it always has that nice balance so every element works off the other rather one. As a whole I’ve really like this album, it’s a nice pleasant listen. I wouldn’t say it’s the most amazing thing in the world but it’s definitely been worth a listen or two.